In my practice of designing and creating I find that classifying myself as a few “things” isn’t possible. The reason for this is simply context, the context dictates my name, my purpose, and my cause. I will say this though, I am a creative, whatever that may be. I am a creative individual and I will be able to do that until the day I die. 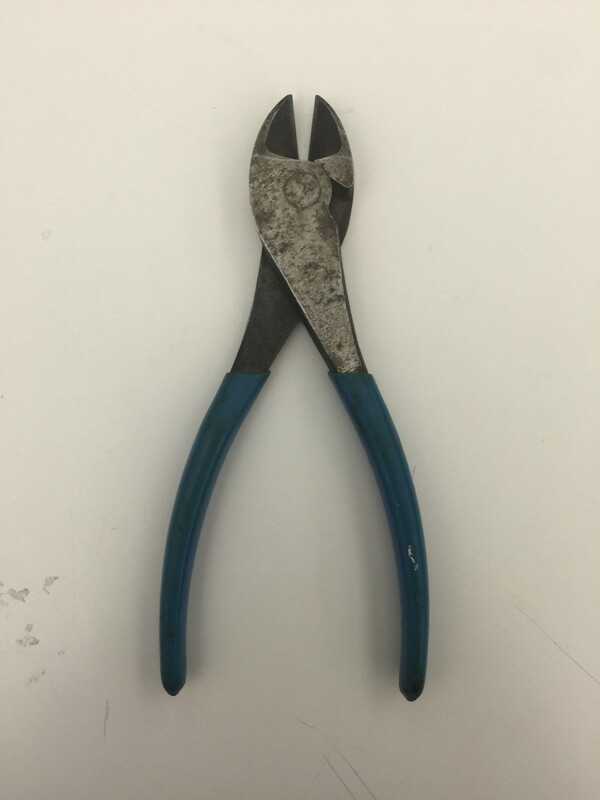 For me, the tool of choice is something that has lasted the test of time. For as long as I can remember, this old, scratched pair of multi-purposeful wire cutters have been in my life. From my childhood, anytime I would help my father work on a project, those clippers were always close by waiting for the next task. It was the multi-versatile ability for any project that has made the vintage clippers a long lasting favorite tool mine. 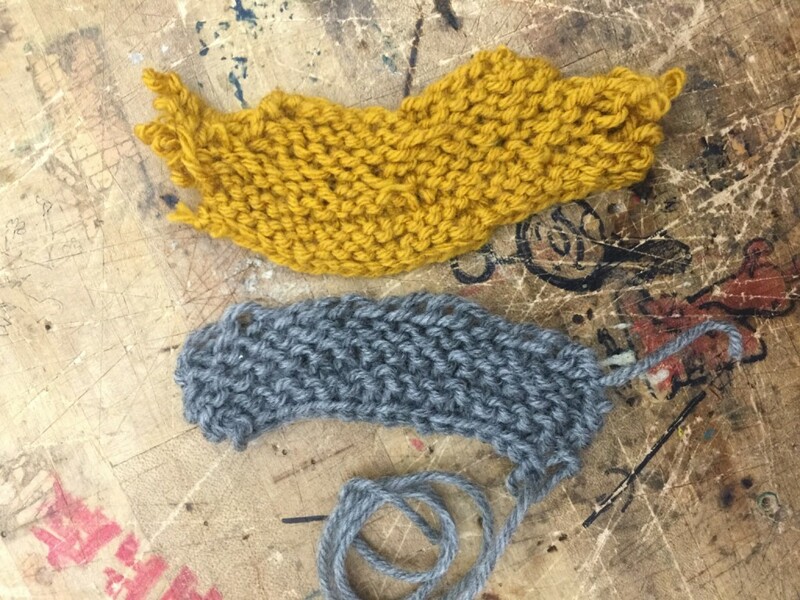 The process of learning how to knit had quite an impact on both myself and the class. First, it brought me back to my roots. Growing up with a grandmother who was a retired home ec teacher made my life interesting. Who could say most of there winter hats were made by their grandmother? or that they ate a 12 course meal? (this is half true). Second, being able to fully learn one of my grandmother’s craft reminded me of my appeal to traditional methods and crafts. That connection to the physical feels so visceral. Lastly, when teaching to the class, I felt a connection to each individual I was teaching. How I learned the craft was translated to them in a specific context and also through the lens of someone who is left handed. This was both amusing to watch and also a bit frustrating at times. The insight that I gained from this was more from the teaching aspect. Having this be hands was a key component in engaging the audience as well as reinforce my efforts in a positive of negative way. 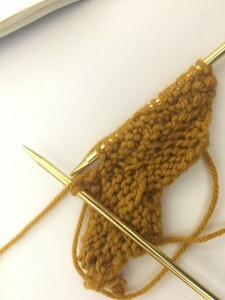 This was a great class in that I was able to not only learn a new craft on my own, but with the whole class as well. Unboxing the traditional crafts is best for use in order to understand our roots and make a real connection with the build and components of our projects. 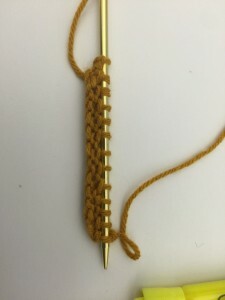 This entry was posted in Week 5: Learn a New Craft Project on October 6, 2015 by saidc308.